The Touareg feels like it’s been around since the dark ages. We all know the shape, and since 2002’s first-gen model and the 2010 second-gen model it’s really not changed that much. The third-gen 2018 model has put a stop to that with a whole new redesigned look to the interior and exterior. The much loved Touareg is back, but will it hit all the same tick boxes that the successful first and second-gen model did? 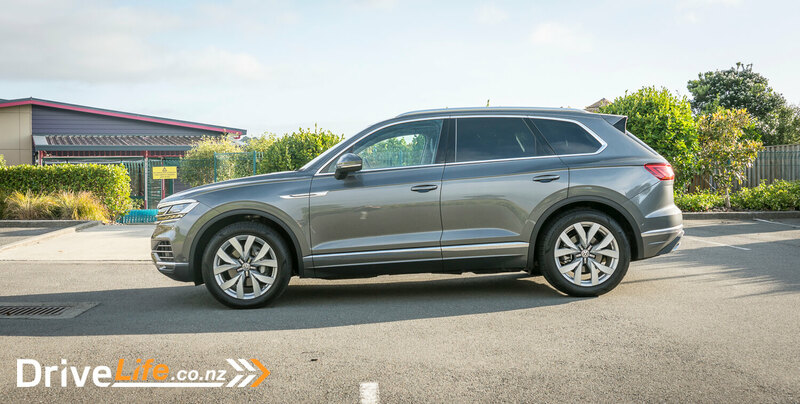 In New Zealand there are two models available; the TDI V6 and the TDI V6 S. Both models have all-wheel drive with VW 4Motion, 8-speed tiptronic gearbox and the same 3.0-litre V6 turbo diesel engine. The visual difference between the two models are small, the only obvious changes are larger wheels and the LED matrix headlights. The insides are different, with the new Innovision cockpit coming as standard on the TDI V6 S. This changes the dynamic to the interior to feel a lot more modern than the standard dashboard on the TDI V6. 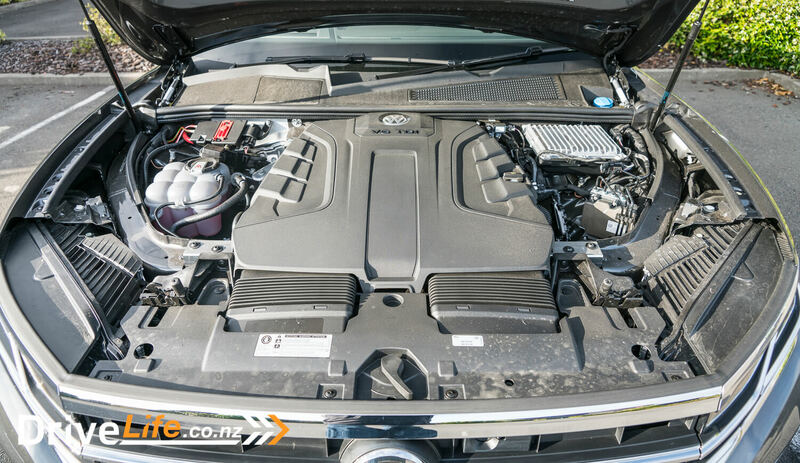 The TDI V6 will start at $94,190 and the engine is setup to deliver 170kW of power and 500Nm of torque. The TDI V6 S will start at $109,390 and the engine is setup to deliver 210kW of power and 600Nm of torque. Both models have the same tow rating of 3500kg braked and 750kg unbraked. 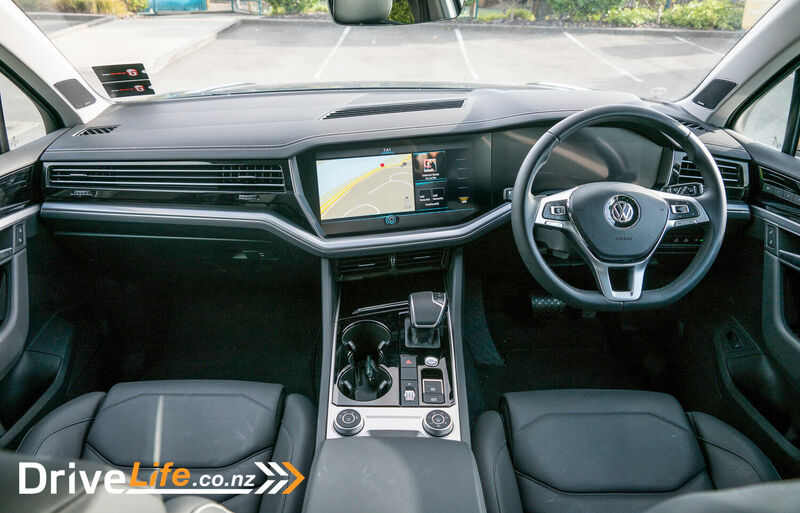 Both models are well spec’d, with the TDI V6 S having the following items as standard over the base model: It comes with LED matrix headlight, LED tail lamps, privacy glass side and rear, Innovision cockpit with 15” central display and windshield head-up display. Not bad for a price difference of $15,200. The big feature that VW have that’s only available on the TDI V6 S is the Electromechanical active roll stabilisation. 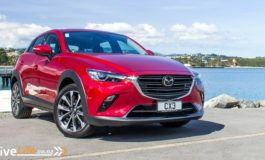 This comes as part of the 4 corner air suspension system and adaptive chassis control, all wheel steering and the 48-volt active roll stabilisation system. There are 3 wheel options; 19” Esperance, 20” Montero and 20” Nevada. 3 interior colour options: Raven, Atacama Beige and Soul. For the exterior you have 8 paint options: pure white, antimonsilver metallic, aquamarine blue metallic, sand gold metallic, tamarin brown metallic, deep black pearlescent, silizium grey metallic and oryx white pearlescent. Our review car came in antimonsilver metallic, unsure how to really say the word, but the colour itself was nice. Nothing to loud or fancy, but it had a nice finish and contrasted well with all of the chrome trim. 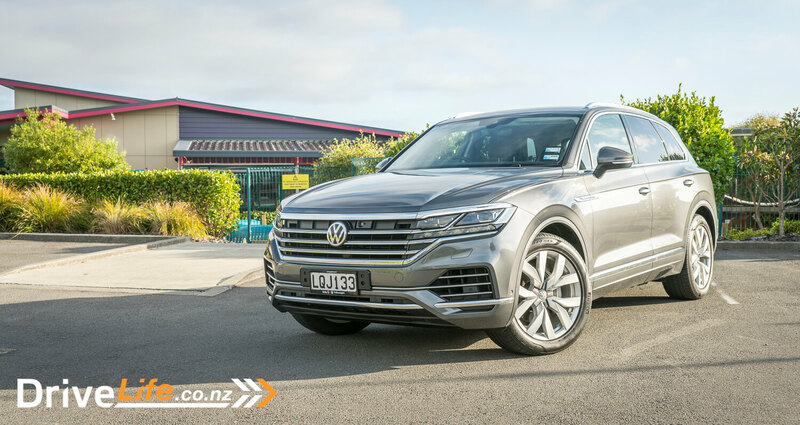 The new Touareg is a big unit, and its big wheels and strong lines makes it feel even bigger than many other SUV’s on the market. I really liked how they integrated the new LED matrix headlights into the grille. Overall this is one good looking SUV, and I couldn’t wait to jump into and see if all the changes will be a winning combination. Inside the new Touareg V6S is unlike any other VW vehicle, which showcases the future for the VW family. The new Innovision cockpit dominates the dashboard; it’s a large twin screen display panel, with one 12.3” screen for the drivers display and a 15” screen as the central console. Both are designed to look like they are one unit that sweeps across the dashboard. This system is visually similar to the Tesla’s or Volvo’s central console and Mercedes-Benz S-Class displays. The Innovision cockpit is great – really well thought out layout and intuitive. If you have a smartphone or tablet, using this system will become second nature to you. The screen layout has a selection of main menu options across the top, air-con and seat heating controls along the bottom. It also had a large command button in the middle of the bottom to bring you back to the main menus. The rest of the screen was broken up into a grid of box that you could customise what you want displayed. This ranged from the navigation map, to your phone and contacts, radio or media your listening too, clock, weather, vehicle options, tire pressure and off-road settings. There are many more options, but you get the idea, it’s really customisable which is awesome to see. Many vehicles still lock you into a set layout, but VW are really pushing forward to allow you make this environment your own. This review car was equipped with the $3000 night vision package. 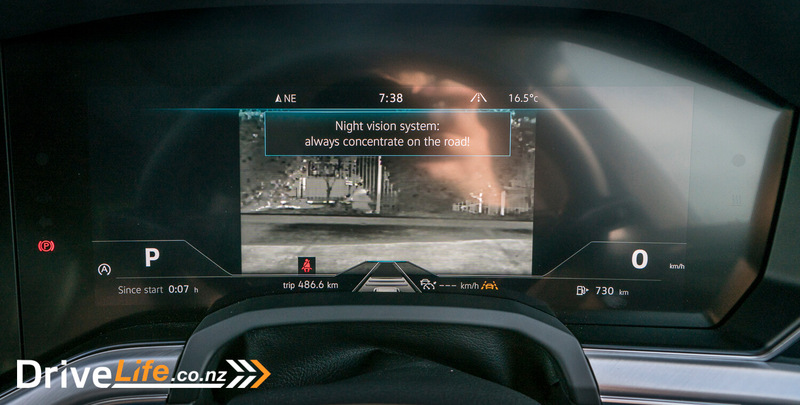 The main focus for this is not so that you can drive in the dark with no lights on while looking at the dashboard – it’s a safety feature which uses its thermal camera to detect people and larger wild animals up to 140m ahead of the car. It will also outline them in the display, highlighting them even if they are not illuminated by your headlights. If the vehicle detects a person or animal heading towards the road ahead of the vehicle it will flash a warning to the driver and the LED matrix headlights will target the illuminate the person or animal. The car also prepares its braking system in the event it’s required to do an emergency stop if the person or animal moving towards the path of the vehicle. It’s an impressive system, one that may not be used a lot in New Zealand, but it’s exciting to see where the future is going with some of these features. The rest of the cabin is more inline with the current VW range, nice comfy seats in the front and back. The front seats had a bit more depth to them with deeper side supports, unfortunately not reflected in the rear. The space in the back is really good for tall people, thanks to the ability to slide the rear seats back and forward like the front can. 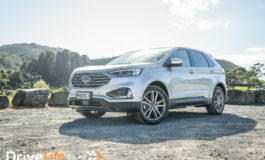 We had no issues using our baby seat, which allowed the front passenger seat to remain in a reasonable position, unlike some other large SUV’s. There was a good amount of storage space in the doors and central console. There was enough room to have a drink, phone and wallet if need be. something that’s not always offered in some of the vehicles on sale these days. The boot is huge, offering up a staggering 810 litres of storage. 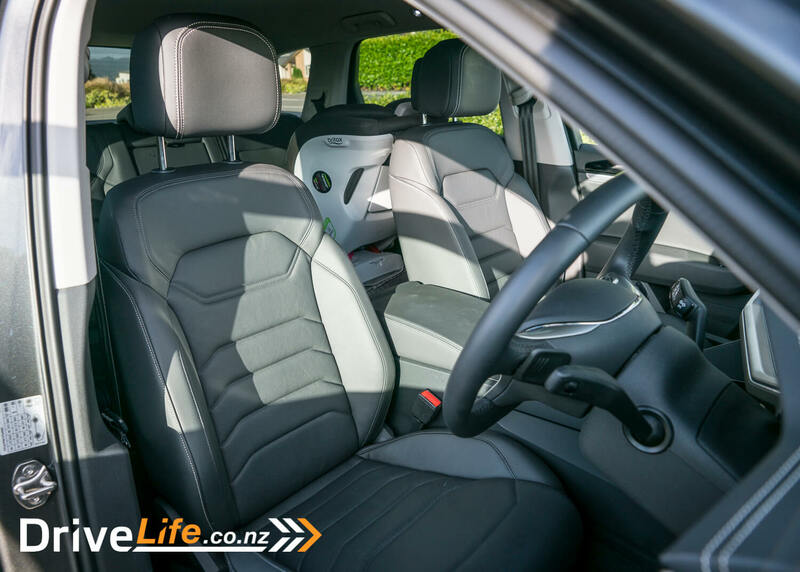 It was nice to see that it was not another 7-seater – the market is starting to get too flooded with these 7 seat options, which if you needed or not, take up valuable boot space. I am glad that VW are not trying to do the same here, leaving you with a huge flexible boot. Due to the size of the new model, the boot is higher off the ground that some might like. 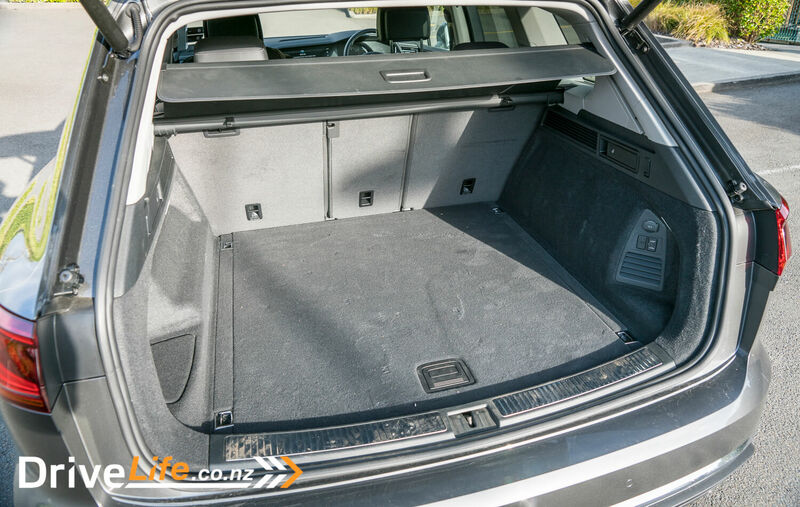 For easy access while lifting items in and out of the boot, you are able to lower the back of the Touareg for a more ideal height. I was a bit surprised to see that a vehicle with such a good boot didn’t have lay flat rear seats when they folded down. Not a deal breaker, just a bit of an oversight I felt. Once you have everything set up in the new Touareg, you find that the extras screens and head-up displays are not distracting at all – in fact they all work very well together. With the ability to even have the Navigation map display on the driver’s dash, you can have all the info you need while the passenger uses or interacts with the central display. The new Touareg is a big unit, and it does feel big from the driver’s seat. The large flat bonnet rolls out to each corner making the vehicle feel rather wide. I never had any issues with it, however there was a noticeable feeling that this car has a big footprint. The power from the 3.0-litre V6 turbo-diesel engine was nice and smooth, which is due to the new 8-speed tiptronic gearbox. It’s not a sporty vehicle, even though its a S, which could be sporty or just special. The engine always had the right level of power to get you going, in sport mode it just made more noise while not feeling like it was going much faster. The engine was noisy enough as it was, so I rarely used sport mode during my review as the default comfort mode was just right. Speaking of the gearbox, there was two things about it that I was not sure about. Both of these were in the cabin, the paddles on the steering wheel and the T-bar gear shifter. The paddles were for want of a better word, pointless. If you have more than 6 gears and it’s not a performance vehicle, paddles become a bit pointless to use. 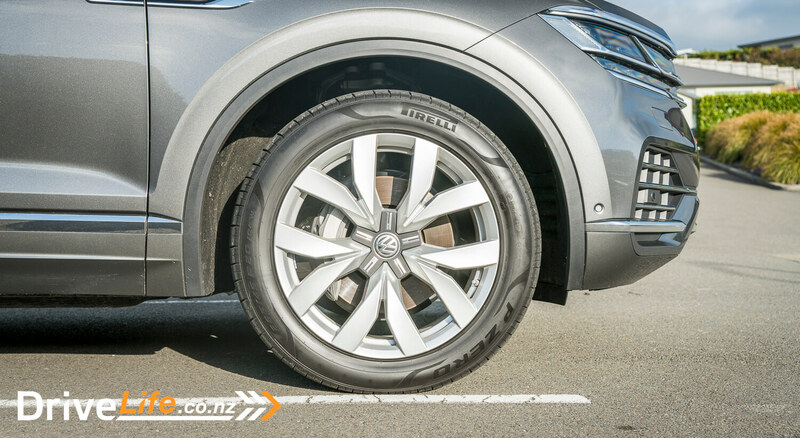 You can’t not have them in your Touareg, but you will find that you never use them. The T-Bar gear shifter was on the fence for me; I like the design of it, it was clean and unobtrusive, but it was big and bulky to use and never really felt natural. I may have gotten used to this over time, but it just felt odd. At the bottom of the central console there are two dials, one for height adjustment and once for drive modes. On the left you have the height adjustment for off roading or ease of entering and existing the vehicle. On the right you have the drive mode selection which offers standard, sport, eco and several offroad settings. I am not sure these where the best placement for them, as they are at the base of the console, above the gear stick might have been a more ideal position. The only feature I found to be a bit intrusive was the lane assist. I have tested this feature on many vehicles, and generally don’t mind having it there as a driver’s aid. However the system in the Touareg was a bit grabby a times, pulling me into the centre of the lane, when I was in full control with both hands on the wheel. It never did anything serious or dangerous, but you could feel the tug from it from time to time, when I didn’t think it was required. I was told that our review car had the works, which included the new Electromechanical active roll stabilisation. This was a $10,000 option which combines 4 corner air suspension, adaptive chassis control, all wheel steering and a 48-volt electromechanical active roll system, Sounds fancy. The ride was very smooth and noticeably level, very minimal – if any body roll for such a large vehicle. It was hard to really say how well this system works as it requires a back to back test with a vehicle without it. The overall ride quality was great, but I am unsure if it’s worth the $10,000 price tag without more testing. Be sure to test a vehicle with and without it to see how much difference you’re really getting. I had to take this car on a night drive so that I could test the LED matrix headlights and the night vision system. I wa impressed with the LED matrix lights, really bright and clear. Their ability to move around and light up the areas of the roads where required while not blinding oncoming traffic was great. Its up there with the best of the systems available on the market today. The night vision system I found more of a gimmick then a useable tool. It might be a case of right time right place; regardless it worked well, and showed the road ahead, further then the lights did. I also have experienced it highlighting several cows in nearby fields as I drove down some unlit back roads. 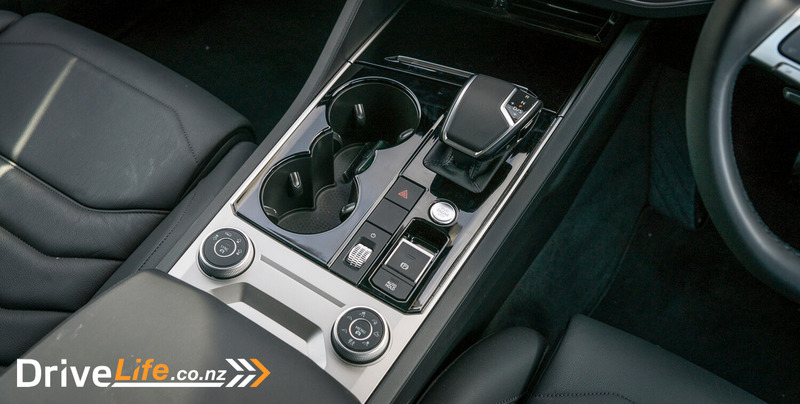 Cool feature, not sure if it’s something you should option for your Touareg though. It’s definitely all new – not much seems to have passed through from the precious model other than the name. A long time coming, but it’s has been worth the wait. It’s a great looking large SUV packed with all the latest gadgets and features you really need. The price is not cheap, but the value can really be seen. 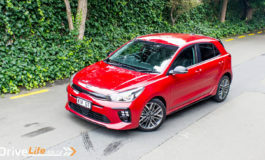 If your budget can push over $100K, it’s the right choice for those who don’t want a ute, but instead something nice and comfy but not too egotistical. 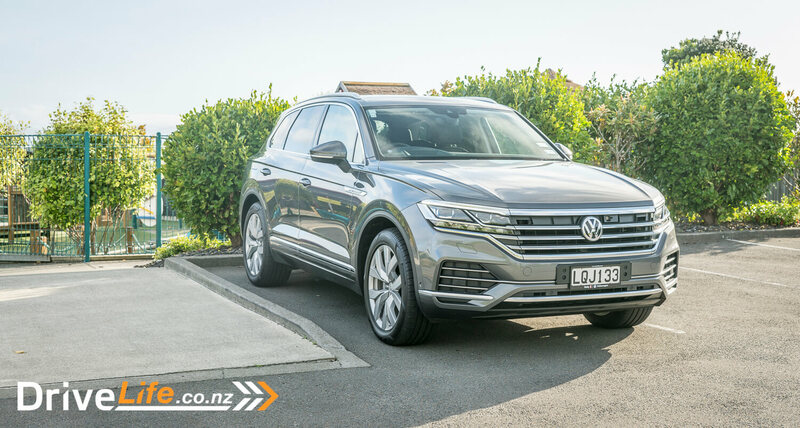 I think the new VW Touareg will do well in New Zealand and I expect to see many of them on the roads in 2019.